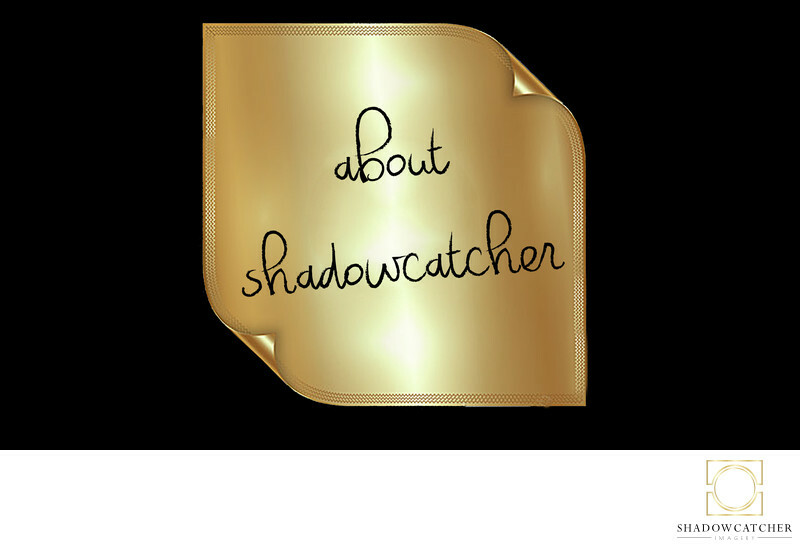 Getting to know us, all things Shadowcatcher! Established in 2004, we are Shadowcatcher Imagery, a creative husband and wife team with a passion for photography and for making your dream images a reality. Our "Classic style with a cutting edge" helps us capture breathtaking creative images from every event we do. While we specialize in wedding photography in the Greater San Diego area, having photographed over 500 weddings, we do provide a variety of professional photography services throughout Southern California. Besides Photography we also offer Video AND a Photo Booth! Shadowcatcher Imagery is licensed and insured and is a full time business for us. It is all we do because it is what we love to do! Whether it's your wedding day, engagement session, family portraits, or a special event, we take the extra step to ensure that each wedding or event is photographed perfectly while not missing a second of the action, and ensuring our clients are having an amazing experience. With 15 years in the business of photographing weddings, we are often asked to, and love to, mentor other photographers new to the industry. We are often asked what is our best advice for someone just starting out. We love to tell this story because looking back on it, it so defined our business model and taught us to provide the excellent customer service we are well known for today. At the very first wedding we ever shot, we went to the rehearsal so we could have a good understanding of how the ceremony would go. At one point we noticed the Bride to Be looking very upset while having a conversation with her coordinator about the width of the aisle. After the two of them went back and forth for a bit, the coordinator said to the Bride... "For God's sake Anita, it's not rocket science, it's just your wedding". Whoa!!! Skip and I looked at each other and said if we ever responded to a bride like that it is time to be out of the business, we were shocked! YES!!! It is rocket science Anita!! It's the biggest day of your life, and we get it! We completely understand and will always be sure to remember that and go above and beyond to help make those dreams for a perfect day come true, no matter how many times we have done it! For a complimentary consultation to discuss how we can make your dream images a reality, please contact us to set up a meeting at our studio. Our testimonials say it all! We are super excited to have been awarded Brides Choice for 2014-2018 on Wedding Wire, and Best of Weddings on The Knot for 2015 - 2018! "Thank you so much for all of the beautiful photos and memories you and Skip captured! I am In Love with all of them! You are very skilled photographers and I will be recommending you to friends and family! This is exactly what I was hoping for!" The technical stuff- I was always a frustrated artist, I tried painting, ceramics, pretty much every medium of art available and nothing ever seemed to click, until I discovered photography. That's when the magic happened for me! Before weddings became my life and my images were in wedding albums, they were displayed in art galleries. I was pretty well known for my artistic images and even was awarded with two solo shows at the San Diego Art Institute, and was asked to curate and show in an art show at Superbowl XXXVII in San Diego that was pretty much the highlight of my art career. The fun stuff~ I have always said, the best way to catch me is to dig a deep hole, throw in some puppies and designer shoes, and there you have it, you caught me! I love life, love to laugh, and especially love romance and emotion, which is what makes weddings the perfect fit for me! I have a passion for fashion and all things Roberto Cavalli. 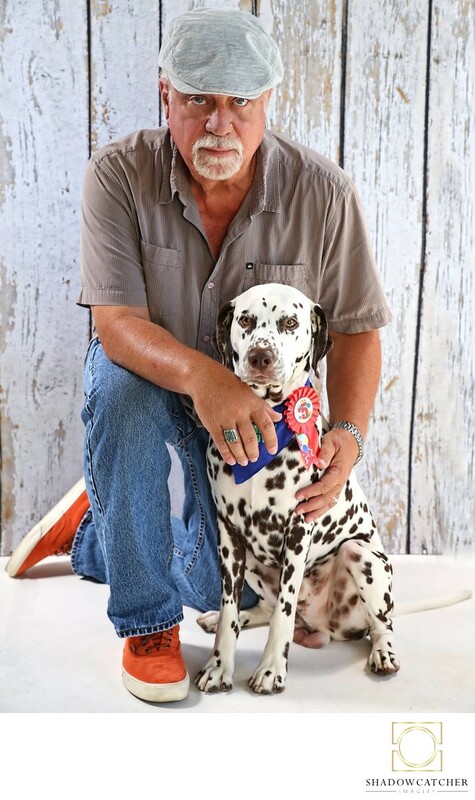 When I am not in wedding mode, you can find me with our Dalmatian Cooper either at a dog show or just hanging out with my spotted buddy! I love nothing more than working with a bride on her wedding day, helping to ease those pre wedding jitters as we work together on those beautiful bride images before the wedding. I love seeing his face as he spots you walking down the aisle towards him, I love the look on your faces when you call each other husband and wife for the first time. These moments are magical and what fuel me. I pretty much grew up around cameras, my dad and his friends were all accomplished photographers, some professional, some award winning amateurs. I got my first camera at age 5 and haven't really quit taking photos since. I was the photographer on my high school newspaper, mainly, I think, because I was the only kid in school with an SLR of his own. I certainly was the only one with any darkroom gear, that's for sure. I've hung off of rocks, over the sides of racing boats, stood in the middle of freezing mountain streams, laid down in mud, all in the name of getting that shot. I love what I do and I think it shows in the images I create. Weddings are a lot of fun for me to do, they are like that adrenaline rush you get before a big game. I love creating images and capturing those moments of things that people will remember for a lifetime. I'm a car guy… plain and simple, which is such a contrast to being a wedding guy. But I can fluff a dress just as well as Randy on say yes to the dress and help make every bride work it like a super model. I love to sail, to collect recipes and can be a bit of a foodie, just don't ever put Broccoli on my plate. Something Fun from one of our favorite shoots ever! Thinking Outside the Box! They met at work, she is a lawyer, he is a transportation guard. After the wedding they wanted a session that was all about who they are!